Launched initially in a deep gloss Black Anodised Finish this superb quality, tough section disc rim is in the latest 29er (700C) size. Bigger than 26" ATB and 650B, its the size of the moment. Despite the strength of the 6061 aluminium alloy and bonded pinning, this superb rim weighs in at only 593 grams. 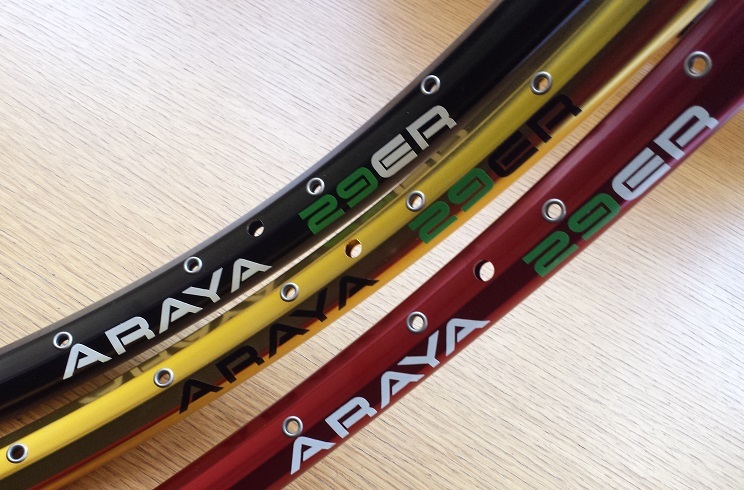 Fully eyeletted in 32 hole spoke configuration, this rim is incredible value. Initially priced at £29.00 but as an introductory price they will be £17.99 plus postage. PRICE IS FOR UK DELIVERY ONLY. FOR DELIVERY OUTSIDE HE UK YOU MUST ALSO PURCHASE A SHIPPING OPTION BELOW. Despite the strength of the 6061 aluminium alloy and bonded pinning, this superb rim weighs in at only 593 grams. Fully eyeletted in 32 hole spoke configuration, this rim is incredible value. Initially priced at £29.99 but as an introductory price they will be £17.99 plus postage. ​PRICE IS FOR UK DELIVERY ONLY. FOR DELIVERY OUTSIDE HE UK YOU MUST ALSO PURCHASE A SHIPPING OPTION BELOW.